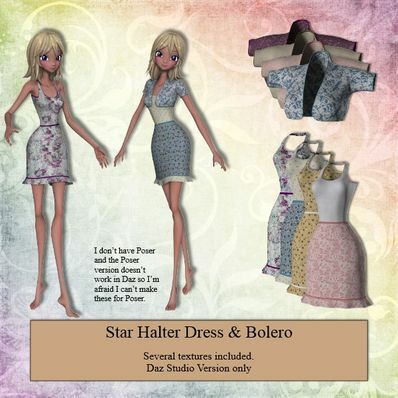 Star Halter Dress & Bolero for use in Daz Studio 4.6. This looks fantastic! Thank you! Lovely dress from a lovely lady for a lovely model. Thank you!